This page was last updated October 5th, 2017. Our second web site www.gmvbodybuilding.com is totally different in style and texture to our original www.gmv.com.au site, and includes our downloads section. See downloads here. FAQ re Downloads and Hi-Res files. Older titles that were NOT shot with a high definition camera cannot be offered as high definition files. While we cannot increase the definition of these videos we do always improve their appearance by optimising the colour, brightness and contrast, and increasing sharpness etc with our editing software. The hi-res files that we offer on some downloads is only available on the latest productions from the last couple of years which were shot using our full HD cameras. We will always say when this option is available. The original site will continue on as our DVDs and history site, containing every DVD, article, photo and set of RESULTS we have every produced. It is the living archive of all that we have and all that we have done. All the new releases – features and contests, will be found on both sites. *Please read our COPYRIGHT WARNING information below. * ALL OUR DVDs ARE OPEN REGION AND PLAY IN EVERY COUNTRY WORLDWIDE. One or two DVDs will be sent economy air by default, and you should allow up to 4 weeks for delivery. However, you can request Standard air, the minimum cost is $30.00, and delivery is approximately 2-3 weeks depending on the country. Our website will default to Overseas shipping rates. The minimum charge for Australian postage is $8. Orders for multiple DVDs will be calculated on a weight basis. Freight on books is based on weight and country of destination. We ship books by AIRMAIL POST and charge you the exact relevant freight cost. Email tina@gmv.com.au for a quote. Our web site gmv.com.au celebrated its 18th Anniversary on July 23rd, 2016. Our new site gmvbodybuilding.com was launched on 27th April, 2011. The site format and layout was updated in January 2016. This site was 5 years old on April 27th, 2016. The websites are best viewed on a regular 4:3 screen at 1280 x 1024 pixels, 32 bit. No Portion of these websites may be used without written permission. © GMV Productions. Bodybuilding is a small sport, and although you may think DVDs are expensive and you want to save a few pounds or dollars, when you buy a fake you damage the sport and you really do jeopardise future production. Making DVDs costs money that has to be made back, and any profits made, unlike a Hollywood film – are small, as the potential market is actually very small. Click on the link in the title above for more details. Steve Jobs, 1955 – 2011 A quote well worth repeating! *IF I HAVE A PROBLEM WITH MY ORDER! When you place your order with us, you always receive an automated order confirmation number which is a PO number receipt, generated from our site. This is NOT an invoice or advice that you have been charged (you have not), it is only an ORDER RECEIPT. *If you have any query at all over any on-line order, you must quote this PO order receipt number if it has a number, your name and date of order when contacting us. When you place your order with us, you will receive an automated order confirmation receipt from our site to confirm that you completed the order process correctly and that we have received your order. It does NOT mean that the goods have yet been charged to your credit card, as that is not the case. We choose not to have an automated charging system. Because there are often variables within the order, we manually process all credit cards in-house. This only takes place once we have checked the precise amount of the sale, plus the cost of freight, insurance etc. The order confirmation you receive simply lists the details of the items you have ordered. It is not meant to be an exact indication of the total cost of your order. For all orders made on line through the web site, or by email, or where we have your current email address on file, we will advise you on the day that we ship your order that it has been sent. Please do not email us asking where your order has got to until at least one calendar month has passed since the date of our email advising shipping. The posts can vary from very fast to very slow and are outside our control. There is no tracking possible on regular AIRMAIL POST whether it is insured or not. We are committed to protecting the privacy of our customers. We will not sell, swap nor distribute any customer information to any other source. By using our secure online ordering system, you are assured of complete privacy and security at all times. No card information is ever stored on any computer. Our products will rarely be the least expensive DVDs in the market. But they will however be of the highest quality. Only industry standard blank DVDs are used. If you are disappointed with one of our DVDs or tapes we will rectify the situation promptly. If it is faulty it will be replaced immediately. We also use high quality heavy duty DVD cases that hold the discs tight and secure to avoid damage and scratching. We will contact you via our regular email newsletters to keep you abreast of new releases and special deals. However this contact is your choice as you need to subscribe to our newsletter click here. IS IT SAFE TO ORDER OVER THE INTERNET? You can be confident ordering via the internet with GMV Productions. Our website has SSL – Secure Ordering Software which ensures your details and order cannot be accessed by anyone else but us as it travels through cyberspace to GMV Productions. We also have phone, snail mail letter and fax ordering (all details are on the order page). We accept Visa and MasterCard only. Unlike most other internet stores, we DO NOT charge an extra credit card fee. We do not charge your credit card until the goods are ready to be picked and shipped. Your Credit Card payment is also totally secure, please refer to the SSL certificate on our Home Page as mentioned above. Some debit cards also work but not all. On the home page just under where you log in, there is also a button labelled “forgotten password”. Click on that, and you will be taken to a page where you can enter your email address, and your password will be sent to you. 1. You can make a "QUICK BUY" on-line where no registration or log in is required. Add your purchases to the shopping cart (without logging in as is optional for making a purchase). When you are ready, view the shopping cart, click continue etc., and you will come to a page which gives you 2 options on how to make a secure purchase. Click the first option for “Quick Buy”, and continue to follow the prompts. 2. Alternatively you can register as a NEW USER to make a purchase and record your billing and delivery address details with GMV. The next time you order all you would need do is log in to the REGISTERED USER section and your stored name and delivery address details ONLY will come up saving you from having to type all your details in again, a great time saving option. * Note no credit card details are ever stored at GMV Productions. WHAT HAVE YOU GOT ON DVD? We believe in doing what's right for our customers. All our staff understand that idea. Our sales and mail-order staff are trained to be competent, accurate, fast and courteous. They will do whatever is necessary to satisfy your requests and fill your order promptly. 99% of all items we offer are always in stock due to the fact that we own the master tapes/DVDs, do our own duplication and do not have to rely on outside suppliers. 90% of all orders are shipped within 24 hours and many go out the same day the order is received. Some unavoidable delays due occur from time to time with imported stock where other suppliers often do not follow our principles of fast delivery. We have held our regular base DVD retail price of $39.95 for many years, even though production costs continually creep up. We are able to sell competitively because we operate efficiently. We don't have DVD stores, we don't buy from middlemen and we keep overheads low. Our only location for shipment is head office in Australia. We do take order through our USA office in Las Vegas. USA Phone 702-242 3269, 9-5 Pacific Time. 4. We offer the best quality products. It has always been our policy to shoot with the highest quality digital equipment that is available. This enables us to edit from high quality material and offer the very best quality products that we can. We also only source top quality DVDs from other producers. Nothing but our best will do at all times. HOW DO I PAY VIA THE INTERNET? WHAT WILL I BE CHARGED? You may pay by personal cheque in Australia only. It is best to check with us first as to the correct amount of postage to be added, and we will remind you of the correct payee name to put on the cheque. Or insurance costs to be added, see below. Sorry we do not do COD. All you need do for this site is email tina@gmv.com.au and advise exactly what you wish to order, code number and title, your name and shipping address. Tina will then email you details, plus the exact amount to be sent to our GMV PayPal account including freight. If you are ordering a number of DVDs this freight amount will be specially calculated to save you some $s. Accordingly the PayPal arrangement is only available on request, and through our other site www.gmvbodybuilding.com It has PayPal available on-line. As a last resort, we can tell you what amount to send us is cash paper money, either US$s, Euros or £s. INTERNET BANKING: if you prefer you can transfer funds directly into our bank account. This service is presently only available to our Australian and British customers at this time. Please contact us at tina@gmv.com.au for bank account details. We may have this facility available in USA some time in the future. All customers outside Australia will be charged in US$s. See below. PRICING & CHARGING - All customers outside of Australia will be charged in US dollars. Whether or not the item has dual pricing (that is in Australian and US dollars), all customers outside of Australia and will only be charged in US$s, or at the US dollar price if 2 prices are stated. Unfortunately, our site cannot cope with dual pricing and will default to the US dollar price. Regardless of this, all customers will be manually charged by us at the GMV office the correct price. There is no auto charging on-line by our site. MANUAL CHARGING INCLUDES ANY SPECIAL DEAL WE MAY OFFER. Do not be concerned at seeing the US$ price displayed, or automatic freight charges displayed, which will always be shown on the order form receipt of order. We may need to call you in case there is a problem with the order. You can be assured that your number is kept confidential and we NEVER sell or "hire out" our list of customers to other mail order companies. IF YOU HAVE NO CREDIT CARD!! Also see note above re our PayPal option. Our new site www.gmvbodybuilding.com has automated PayPal. AUSTRALIA PHONE + 61-8-8178 0688 Call 9 - 5 normal business hours, South Australian Central time. Please let us know by phone, email or letter when you change your postal or email address so we can keep you on the e-mailing list to receive our weekly newsletters. We do not send out printed indexes of our DVDs except on request. The separate indexes for men and women's DVDs can be sent to you by email as Word Document attachments. HOW DO I GET IN TOUCH WITH GMV PRODUCTIONS IN AUSTRALIA? To speak to us direct (during regular business hours 9 - 5), please call us on +61 8 8178 0688 (plus the international dial access code, e.g., from USA dial 011 61 8 8178 0688) There is no answering machine after hours, or email wayne@gmv.com.au for a fast reply. GMV Productions, PO Box 413, Belair, South Australia, 5052. Australia. CAN I ORDER WITHIN THE USA? We regret that this is no longer possible. HOW CAN I CHECK ON THE STATUS OF MY ORDER? *Also see latest info in the red box at the top of the page. Either through the "Contact Us" form on the site, or a simple email to tina@gmv.com.au, and we will be able to tell you when your order was shipped and when you might expect to receive it. HOW LONG WILL IT TAKE TO RECEIVE MY DVD? We ship same day as a general rule. Allow up to 3 to 4 weeks for delivery outside Australia. WHAT DO I DO IF THE DVD I RECEIVE IS FAULTY OR THE WRONG DVD? Please EMAIL ME FIRST - DO NOT RETURN A FAULTY OR INCORRECT TITLE DVD! GMV Productions will replace any defective DVD with another copy of the same title only. You must contact us within 7 days of receiving the faulty DVD with a brief description of the problem. However your DVD may not really be faulty but suffer some incompatibility with your player. Before you do advise us that it appears to be faulty, please first check the DVD in your computer DVD drive if possible, or in a friend's DVD player. Some older DVD players do not play our DVDs, especially if they are not designed to play DVD-R copies. please DO NOT RETURN ANY DVDs TO OUR AUSTRALIAN ADDRESS WITHOUT CONTACTING US FIRST at tina@gmv.com.au and advising us of the problem. We will then advise you what to do, as there is usually no need to spend postage in returning a faulty DVD to Australia. As a general rule we do not exchange for a different title, or give refunds. Please be sure that you have ordered the correct DVD that you want. See our phone contact details in USA, if unable to email us in Australia regarding any such problem. HOW ARE OUR DISCS REPRODUCED? All DVDs manufactured by GMV are made in professional DVD towers. Most of the DVD discs produced and sold by GMV are burned DVD-R discs, and there are good reasons for this. Because we offer over 1000 different bodybuilding DVDs, most of our DVDs are usually low production and low to small and steady selling items. Burning copies as needed helps keep costs down for the customer too. 99.9% of our sales are through direct mail order and not through stores such as Amazon or Fitness Stores. 4. DVDs we import from other small producers in the industry. All GMV DVDs that are supplied at wholesale are shrink-wrapped. These days (2012 onwards) we use the new modern SLIM light weight DVD cases as this helps keep postage costs down. Generally speaking, pirate or fake DVDs do not come in professional cases, with professionally printed sleeves and discs, and shrink-wrapping. There is only one way to handle your DVDs, and that is very carefully. DVDs are a fragile medium and in fact they are so fragile that even a small smudge or fingerprint or tiny scratch can cause irreparable playback problems. The best advice we can give you on handling DVDs is to avoid getting your fingerprints on the data (bottom) side of the discs. Always hold the DVD with your fingers touching the outside edges, or put your finger in the centre hole and the thumb on the edge. Touch only the printed label side (face) of the disc if you happen to put your fingers on the disc. Always have either a protective sleeve or the DVD case handy to put the disc back into as soon as you remove it from your DVD player. This is very simple and is the easiest and most effective way to avoid disc damage. DVDs sustain the most damage by being placed data side down onto a table, desk, mat or what ever, even when the surface looks clean and smooth. Being left anywhere out of the DVD case is asking for trouble. Dust, moisture and small scratches are all enemies of DVDs. Treat the DVD as gently and carefully as you did your precious long-playing records of the past, for those of you who remember LPs. Look after the DVD and it will have a long and healthy life - much longer than those old vinyl records! Only use a soft, lint-free cloth lightly moistened with water or a professional DVD cleaning fluid. This cleaning fluid acts as a mild detergent. Only use a fluid specific to the task. Any good electronics or computer store can advise you on what to buy with many kits available for cleaning DVDs and CDs. This is a most neglected item and some playing of DVD problems are not caused by scratches or finger marks. It is a good idea to clean your drive every 6 months or so if you are a regular user of DVDs. You can also buy lens-cleaning discs or kits from good electronics stores and these help remove the dust and dirt that can affect the good playback of your DVDs. DO YOU HAVE YOUR DVDs IN THE NTSC AMERICAN (OR JAPANESE FORMAT)? All DVDs and VIDEOS we send to USA and any other NTSC countries are automatically only sent in the NTSC system, open region if it is a DVD. All DVDs we have are marked as NTSC Only on our site. This is EVERY DVD with about one exception. From the beginning of 2008, we have only been selling DVDs in the NTSC system OPEN REGION, and that includes our own productions at GMV, as well as all imported DVDs. All NTSC DVDs, Open Region play world wide these days. NTSC has become the defacto World DVD System. BRAZIL - In this country NTSC is the only system that will play in colour. Their DVD players and VCRs generally have systems installed for NTSC. DVDs that are produced in 16:9 WIDE SCREEN! We are asked from time to time if we have any DVDs in 16:9 wide screen format. Here are just a few listed below as a teaser titles for you as the list would be extensive if we checked every single DVD that we offer. More and more will be offered in wide screen format in the future when this gradually becomes the norm for new productions world wide. However DVDs shot in 4:3 still look great when viewed with your Plasma or LCD TV screen set to wide screen size! The guys sure carry a little extra beef this way! DO I GET A COLOUR COVER WITH MY DVD? All GMV DVDs are sent with a colour cover and plastic case (where such are available) at no extra charge. DO YOU HAVE A PRINT CATALOGUE /PRINT BROCHURE OF YOUR DVDs? Yes a DVD INDEX. Please contact us to have a print DVD Index sent to you. Also, please indicate if there is a particular kind of DVD you are interested in, e.g. Male bodybuilding, female fitness, etc. We produce separate DVD index lists of Male and Female bodybuilding DVDs. These lists can be emailed to you as WORD documents on request. Regretfully, we no longer operate regular mailing of brochures or a colour catalogue by the postal service, as we have done over the last 40 years. Due to the internet versus the high costs of printing and postage, it is no longer practical. However, we do know that not everyone has internet access and accordingly we are happy to send on request and via airmail post our DVD catalogue index, either male or female lists or both. Alternatively we do have a DVD disc with over 70 minutes of DVD previews. The print version DVD index/WORD document is updated every few days. Regarding our separate indexes for men's and women's DVDs, please state which one you require. Our only mailing list is presently our WEEKLY email newsletter mailing list which keeps you abreast with everything new, including contest results, Hard News reports and so on. If you order from us you are automatically included on this list unless you opt out. You may also request wayne@gmv.com.au to add you to this mailing list if you wish. If you wish to opt out of the mailing list it is very simple to unsubscribe. You are assured of complete privacy at all times. Your email address and any other details are never ever shared with any other person or company. WHAT TYPE OF QUALITY ARE THE DVDs? All our DVDs are professionally produced in colour. However, some are in the category of "Classics" which may be in black and white (where indicated). If any of these were shot on Super 8 film they may have colour but will not have live sound, also the quality will not be as good as present day DVDs. However, this style gives a true nostalgic feel to the bodybuilders, events and times in which they were filmed. For fans of the champions of days gone by, these videos now on DVD are a must, and regarded by many as "collector’s items". WHY ARE THERE NO MENUS OR SELECTABLE CHAPTERS FOR MOST OLDER DVDs? All of our older contest DVDs and older feature DVDs are made directly from the original MASTER TAPE to the MASTER DVD DISC. As such, they do not have separate or selectable menu chapters. To make a menu and separate chapters involves much costly work, with the costs being far greater than we can justify for the much smaller interest in old material. By simply converting the master tape to a master DVD gives the original master a new life, rather than simply deleting these old contest or old features from our list. For example, all the old OLYMPIA DVDs, which are all extremely popular and important, only come as direct video to DVD transfers, with no selectable menus. The DVD transfer is the exact same high quality as the original master tape. The RAM program we use to produce the DVD copies of the original master tapes produces auto chaptering in the DVD of a new point approximately every 5 to 6 minutes. You simply press the SCENE SKIP button to advance the DVD each time to the next point you may be looking for. All new releases for major contests and all new features we produce have complete and often quite in-depth selectable menus. WILL GMV PRODUCTIONS BUY MY OLD BODYBUILDING FILMS? Please contact us if you have any old film (Regular 8, Super 8 or 16mm) which show bodybuilders in any way as we may be interested in buying them. However, we are not interested in any videos from any of our competitors still in business. HOW DO I KNOW IF AN OLD VIDEO IS NOW ON DVD? Here is a question we get asked all of the time. "How do I know if the item "SERGIO OLIVA - FRANK ZANE" code number V-115 is available on DVD? From the description, I can't tell if this is a DVD or video. Will it play in USA?" Our DVD coding system is very simple on our site. If you type into SEARCH V-115 then open that product file, look at it and close it down again, and hit the "button back" arrow again you are back to the SEARCH screen still showing V-115. This was a VHS tape. Simply type in the letters DVD following the V-115 (with no gaps) and hit Search again now for V-115DVD. A result of " there are no products which match this search" indicates the video is not yet offered on DVD. When we do author any old VHS master tape to DVD, we then delete the old VHS tape product page. In this example it would become V-115DVD. No one wants a VHS tape if the video is now on DVD. I have held off putting this old and very popular Zane & Oliva video to DVD while I look for new material on Zane. Then I can re-edit the old video into a super feature on FRANK ZANE ON DVD. Our SERGIO OLIVA "THE MYTH" DVD has already been released. See GMV-690DVD. We only supply NTSC DVDs, OPEN REGION. These DVDs play everywhere - worldwide. This NTSC standard has become the world system. There are several different ways audio can be encoded and we chose the latest method which is MPEG 2. This is used on most DVDs these days. Older DVD players were only built to play PCM audio and if you had such a player you may not have been able to fully access the soundtrack. If there is an audio or audio output select button on your remote control (as there usually is) then trying the different settings is usually the answer. If possible check the DVD on a second DVD player, preferably of a different brand? We have noted a problem with some older DVD players that are 3 or 4 years old in playing some of our DVDs. Some "higher-end" players have built-in anti-piracy software which may conflict with some DVD-R discs and some times even with pressed discs. Please do not send anything back. We will send you a free replacement DVD disc to put into your DVD case if there is a genuine problem. If the picture freezes in 2 different DVD players, this suggests a faulty blank disc may have been used and we will replace it immediately. You can play any type of DVD disc, NTSC or PAL in your computer or laptop DVD drive if it has one, or in your Playstation. This is a good way to quickly check if the DVD is faulty or not and if it has audio present. Most of our DVDs will not play in an XBox video game console. If reporting a playback problem with any DVD, please let us know how old your DVD player is and its brand name. This may help us in sorting out the problem. If you are looking for more of the copyright free music we use in our DVDs, particularly throughout 2008 and onwards, it is from a site called www.beats365.com where all tracks are composed by a guy with the alias Nebula. As a result of so many people asking about the details on how and why we filmed this event, there is a special FAQ for it. Because it is an OLYMPIA DVD set, some people expect it to be shot in TV Broadcast quality, like the modern day Olympia DVDs. Our version is the ONLY KNOWN current record of this 1980 contest, and was shot on Super 8 film. Click here for more details. It is our all time best selling and most popular DVD featuring Arnold and Mike Mentzer in their last contests. The correct full code number of this 2 DVD set is V-103DVDSP. Complete Contest Results Index for 2013. It is very EASY TO NAVIGATE our Complete Results Index for all IFBB Pro shows for the year, along with other contests we have been associated with, and separate sections for results from NABBA/WFF shows and also Natural events. Here is one easy resource for to look up everything on the past year’s contests, all in one place. We go to a lot of trouble to present complete information in all of our results, 55 contests in total for 2013, including the country represented where appropriate for all competitors in international events. Please click here to go directly to our 2013 COMPLETE RESULTS INDEX. OLYMPIA - CONTEST HISTORY & LIST OF ALL WINNERS. From 1965 - To Present Day, Complete Competitor History of the Mr. Olympia, click here. From 2005 - To Present Day, Complete Competitor History of the 202/212 Olympia Showdown, click here. From 2013 - To Present Day, Complete Competitor History of the Men's Physique Olympia Showdown, click here. From 1980 - To Present Day, Complete Competitor History of the Ms. Olympia, click here. From 1995 - To Present Day, Complete Competitor History of the Fitness Olympia, click here. From 2003 - To Present Day, Complete Competitor History of the Figure Olympia, click here. From 2010 - To Present Day, Complete Competitor History of the Bikini Olympia, click here. From 2013 - To Present Day, Complete Competitor History of the Women's Physique Olympia Showdown, click here. ARNOLD CLASSIC & IRON MAN & AUSTRALIAN PRO GP DVDs & WINNERS. CONTEST RESULTS BY YEAR – from 1965 TO PRESENT YEAR. We are often asked what MEN'S & WOMEN'S DVDs do we recommend for training and nutrition for beginners. Here are our suggestions for the DVDs best suited for a beginner. These all relate to training and many also relate to nutrition. Men's DVDs listed first with some of these suitable for men and women. DVDs for women are listed second. James Llewellin - 1 Step Ahead A-1347DVD. Arina Manta - "They call me Fit Doll"
Anne-Marie Lasserre - Glamazon: Miss Universe Figure Training DVD. The Rosa-Maria Romero Figure Training DVD. CAN I USE THE PHOTOS ON YOUR WEBSITES? NO! Please note that all the text, graphics and photos on these website are copyrighted by Wayne Gallasch, GMV Productions. Please do not copy, reproduce or distribute them in any way, electronically or photographically. No photo taken by Wayne Gallasch or any photo taken by other photographers that appears on our site may be reproduced without written permission. Same applies to all of our content including our WHAT'S NEW. Please email wayne@gmv.com.au if you wish to purchase a copy or license the use of a copy of any of Wayne's photos. This applies to all magazine editors, publishers, webmasters and individual fans. GMV thanks the following photographers for their generous contribution to the GMV Web Sites. SEE MY SECTION AT THE TOP OF THE PAGE ON SPOTTING A FAKE. NO EBAY/AMAZON RESELLING OF GMV PRODUCTIONS DVDs. GMV DVDs are not to be displayed in part or in full, rented or re-sold by any electronic means such as EBAY, Amazon etc. When you purchase any "GMV" and "V" coded DVD or Video you are agreeing to our terms of sale. These terms are clearly stated in our copyright video warning at the start of every tape and DVD. This same message is clearly stated in the GMV Productions ”about me” copyright section on EBAY. It states that “GMV” coded and “V” coded DVDs and Videos are not to be displayed, rented or re-sold by any electronic means. These conditions regarding our copyright will be enforced to the full extent of the law. The only exceptions regarding electronic resale will require written permission from Wayne R. Gallasch, CEO of GMV Productions. POSTING OF CLIPS ON YOUTUBE OR SIMILAR SITES. All posting of photos, video clips or any part of any GMV video or DVD, or any DVD cover which is copyright to GMV is strictly prohibited. This is in breach of our copyright and such breaches will be vigorously pursued under international copyright law and damages sought. Where I could get the music you use and these simplistic funky "80s" & "90" tunes, and some extended music info in that regard? I think you said that there was an (online) company where one can listen to hundreds of these synthesizer tunes and purchase them. This is the group we use - it has the best possible deal, but is more modern hip hop style music and does have a great variety. GMV's DVD Preview clips should only be viewed using Windows - Internet Explorer. Do not use any other Internet Browser for viewing these clips. With a high speed internet connection, the video clip may take, on average, from 5.5 minutes to 8.5 minutes to fully load. A dial-up connection could take up to 30 minutes or more depending on the clip and the speed on the connection. Times are approximate. You can continue browsing our site while the clip downloads. New clips are added to the clip archive for every new DVD release. Clips from older ones are added every 2 weeks. Our DVD preview clips use pop-up video viewing windows. You will need to allow pop-ups for this web site to view video clips. Streaming clips can start to be viewed after about one minute. To see our complete previews index, please click here. We are now only placing our new clips on our GMV site through an imbedded YouTube window so everyone can see them OK.
See our GMV Bodybuilding YouTube Channel here for over 400 clips. Click here for our listing of GMV Video Downloads, being added to every month. Includes free sample downloads. WE CAN EMAIL YOU SEPARATE MALE OR FEMALE DVD INDEXES as Word Documents, listing every single DVD we offer. Simply email wayne@gmv.com.au and ask for the particular index that you want, or both - to be emailed to you. Each index is updated daily or every time we have a new release. The large old colour catalogue was discontinued in early 2007 in favour of the Word document print Index Listing. Customers with no private email address of their own may request a hard copy to be posted to them by AIRMAIL post or included on request with any DVD order. HOW DO I FIND WHICH VIDEO MY FAVOURITE BODYBUILDER APPEARS IN? Type in the last name only of your bodybuilder in the search function which appears at the top of the home page, and on the yellow bar at left on all the other pages. Hit enter, and the site searches for and brings up a list of all the relevant DVDs. If no item is listed, send an email to wayne@gmv.com.au , and we will check our files to see what we can find. WHAT DO ALL THE CODE NUMBERS MEAN? The "GMV" code means the DVD was videotaped, edited and produced by GMV Productions. Except for the Classic Collections, where most of the material was shot on film then transferred to video masters by GMV. The numbers are chronological, i.e., low numbers are earlier and higher numbers are the latest release. The "V" series 99 – 157 etc were mostly shot by GMV on film and transferred to broadcast quality DVD masters. The other "V’ numbers are co-produced by GMV and our associated producers overseas. Such as the Iron Man Pro series. The "A" series are DVDs that were NOT shot or produced by GMV Productions, such as Olympia contests, some old contest DVDs, documentaries and workout tapes which GMV has bought or licensed. Whatever the code you will always find that GMV Productions always has the lowest prices where possible. The price shown on the web site is always the current correct price, just in case you happen to find a different price listed on an old magazine advert, index listing or brochure. GMV's new SITE MAP is now live! You can now quickly and easily browse the full content of the GMV web site, thanks to this brand new SITE MAP. It gives you a private window into the furthest corners of the GMV site. It allows you to search by category and takes you straight to where you want to go. Every time a new page or product or article is created by the site editor, it will instantly appear in the SITE MAP. Simply click the back arrow after each item you select in order to get back to the main index of the Site map. It has many drop downs menus to explore. What is a Site Map? It is really like a Table of Contents in a book, with clickable links for fast navigation. A Site Index is another possible description in that our Site Map provides a general top-down view of the overall site contents - at a single glance. I think of it as the GPS "sat nav" of the GMV site, so that visitors can quickly access all content - and any destination on the site! Our Site Map lists subject groupings which lead to the various individual pages on the GMV web site, organized in simple hierarchical fashion. To test it out, please click here for the SITE MAP. It also appears on the BLUE bar across the top of the site on every page. If you have a hotmail.com, aol.com, yahoo.com, verizon.net or comcast.com email account, please check your SPAM folder as the welcome to our NEWSLETTER email or ORDER RECEIVED RECEIPT email may be sent straight to your SPAM FOLDER. When you receive your AUTOMATED EMAIL from us, please mark it as “Not Spam” or "Add sender to safe list" so any future email or newsletter from us does not have trouble reaching you. We regret that some of the ISP filters and other internet filters and blockers are outside our control. MARKETING IS FINDING OUT WHAT YOUR CUSTOMERS WANT, AND GIVING IT TO THEM! 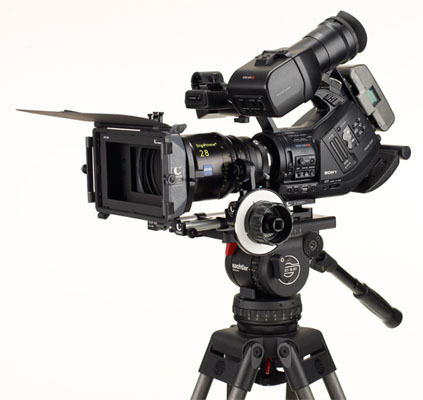 Click here for our GMV's USA CAMERA HISTORY and Models at the OLYMPIA since 1999.